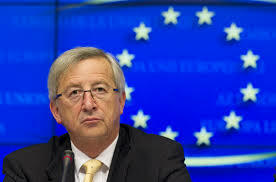 Incoming European Commission President, Jean-Claude Juncker, has cleverly created an EU executive that is essentially former politicians only. His intention has been that he wants only those with political experience to become a commissioner. He began soliciting a number of ex-prime ministers on his team who know the job and how to handle public opinion. Juncker realized that the EU is on the brink of a meltdown. He only wants politicians, who know how to play the game, to shift even more power to Brussels. This is a big gamble, for it demonstrates that they still refuse to reform a serious structural mistake.